The set for this show was divided between a full diner and a service station. We fabricated large oversized gas pumps with electrified rotating signs. 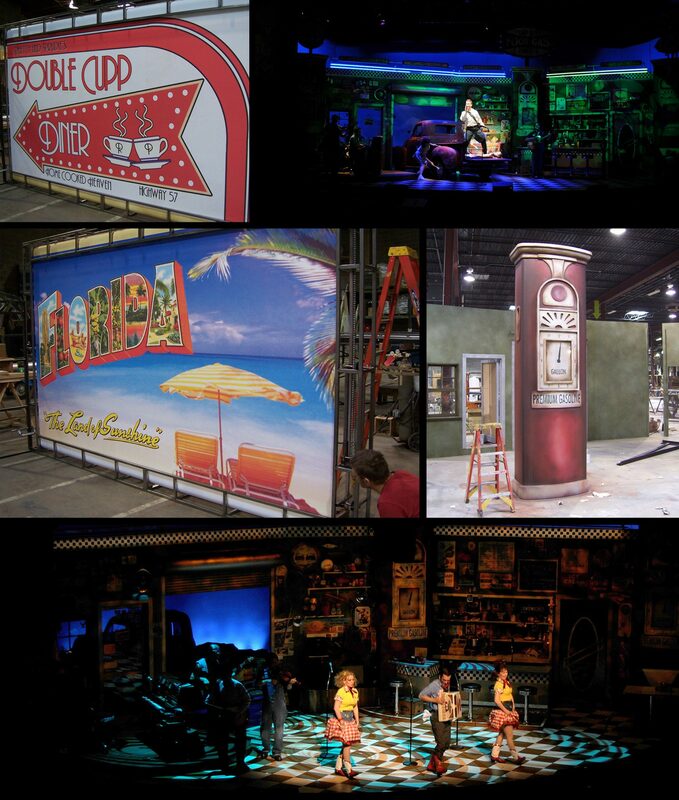 A digitally printed billboard had three scenes that scrolled via a hand crank.